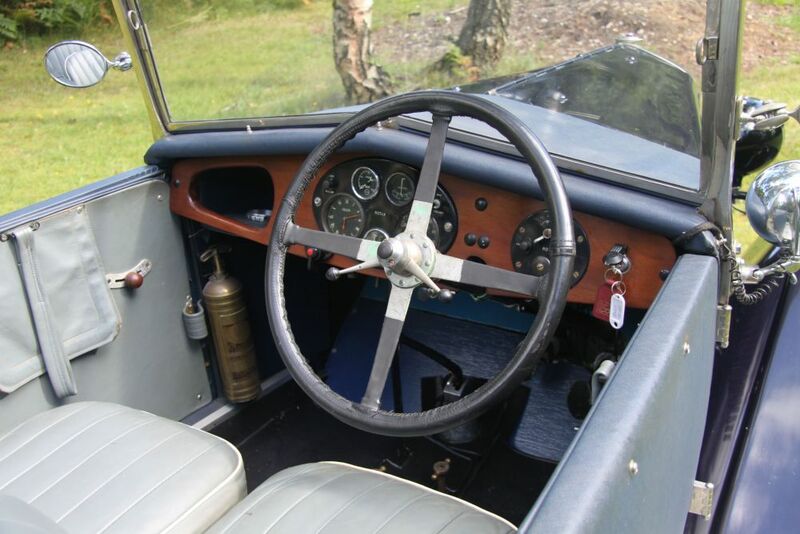 Goes confidently well, steers nicely, 4-speed gear change easy, and stops well. 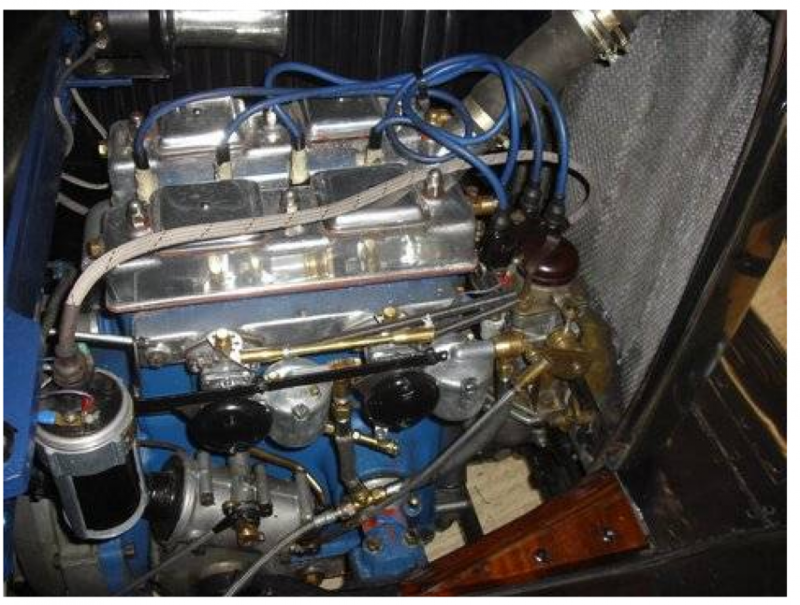 Comes with the correct original-spec twin carbs. One owner from 1959 to 2011. 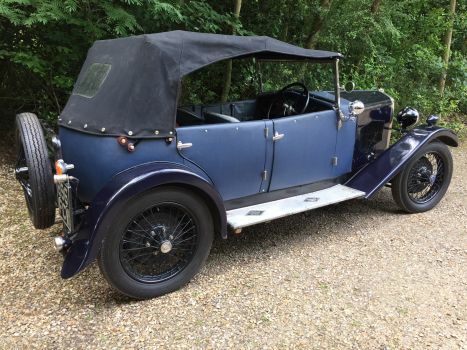 Selling due to owner's poor health. 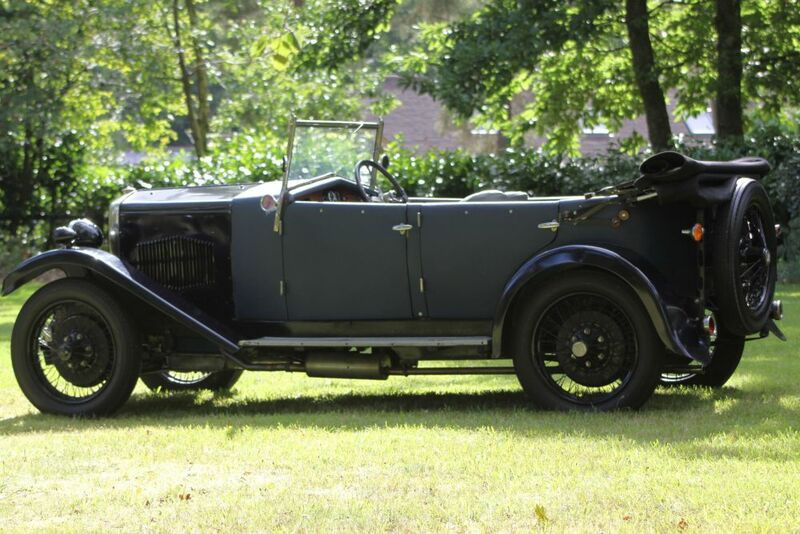 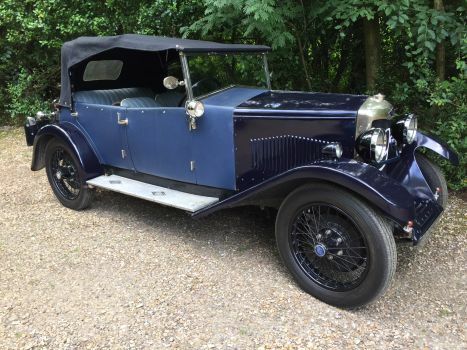 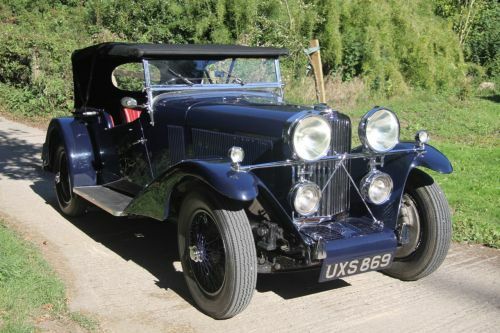 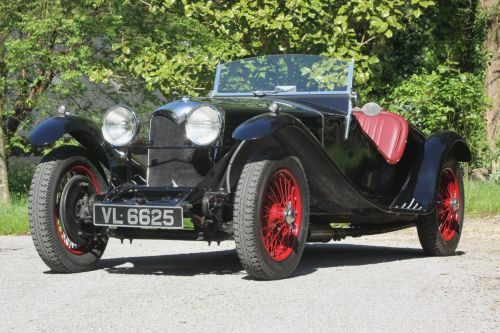 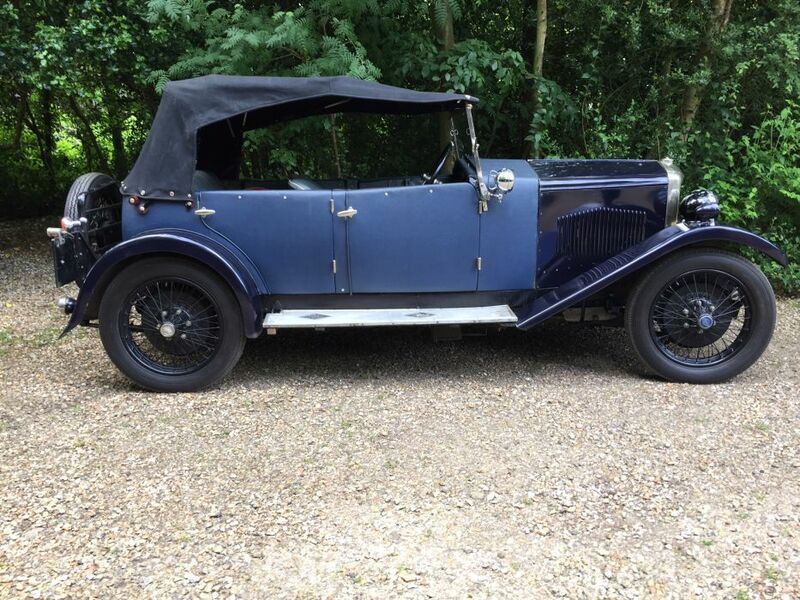 The Riley Nine was produced from 1926 until 1937. 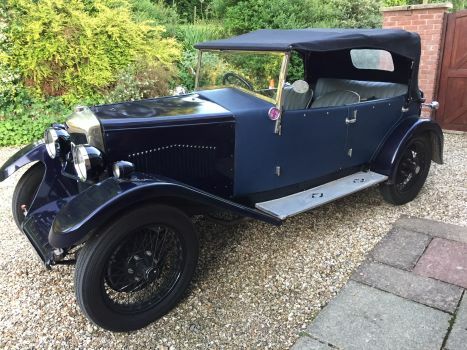 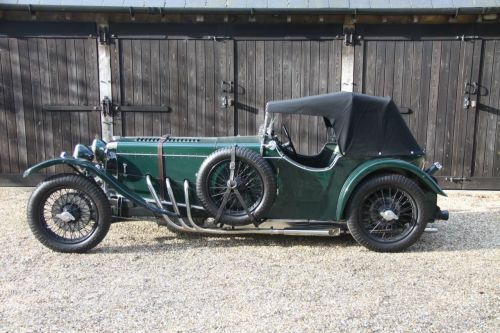 Designed by Stanley and Percy Riley in 1925, Riley's General Manager Mr C H Leek had the task of putting the new model into production. 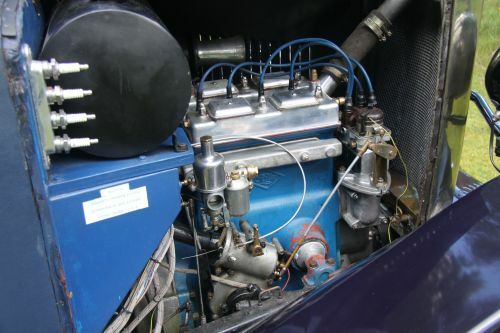 The 1087 cc 4-cylinder overhead valve engine with hemispherical cylinder head had large inclined valves operated by pushrods from twin camshafts set high in the crankcase, one for inlet and one for exhaust. 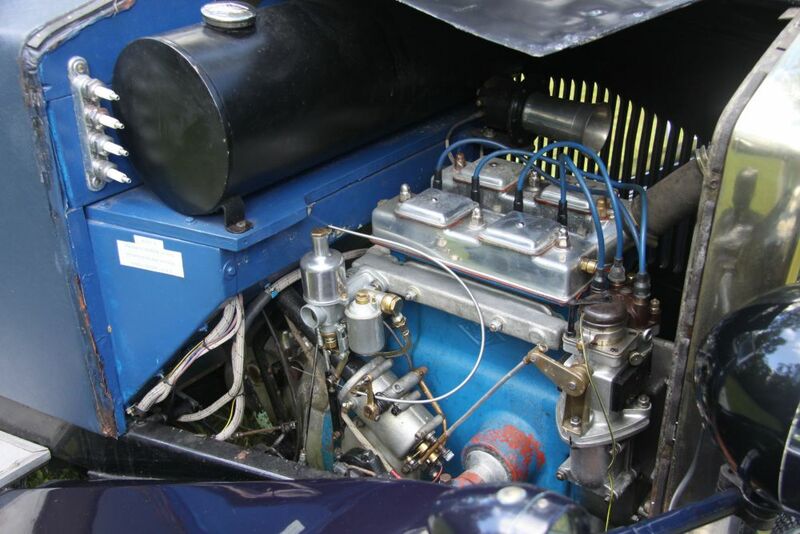 With a fully balanced 2-bearing crankshaft, Percy Riley's innovative new engine was free revving and delivered excellent power with 60mph readily available and 40mpg. 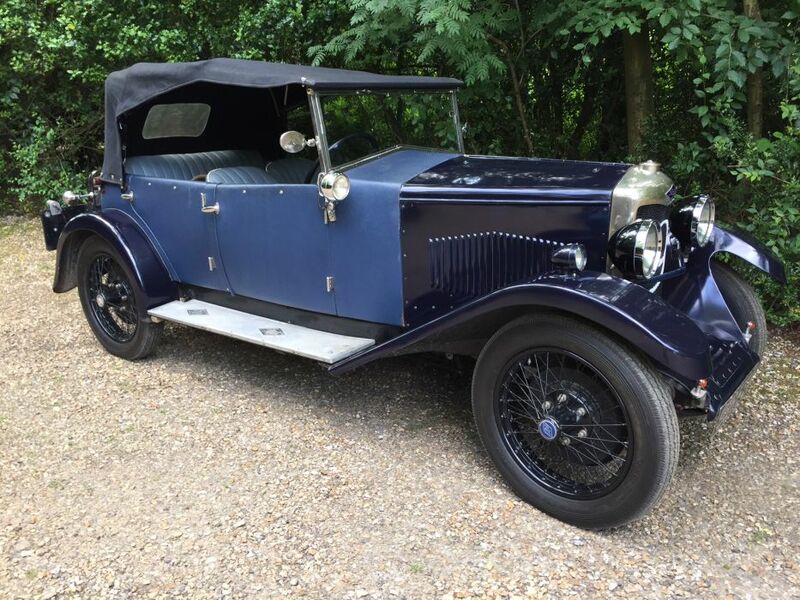 A long stroke motor with 60.3mm bore and 95.2 stroke, the Riley 9 has a 9'0" wheelbase, and 3'11" track and 1/2 elliptic springs all round. 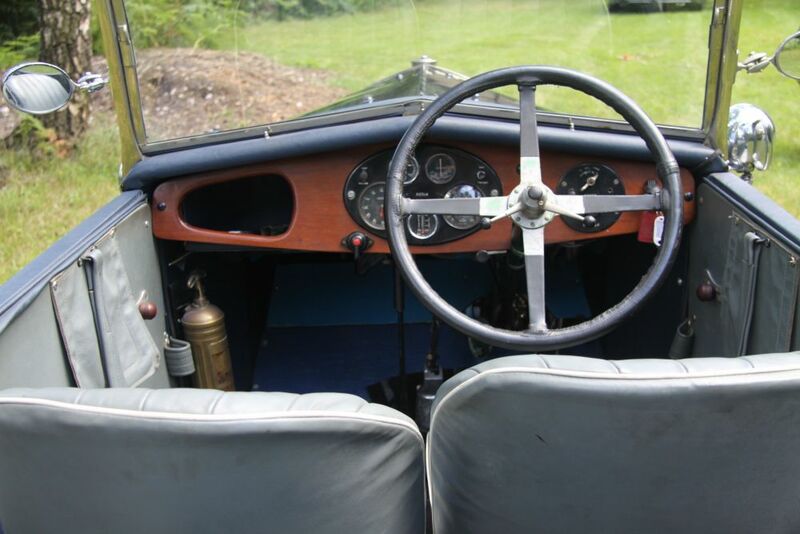 Powerful 4-wheel brakes, adjustable from the cockpit. 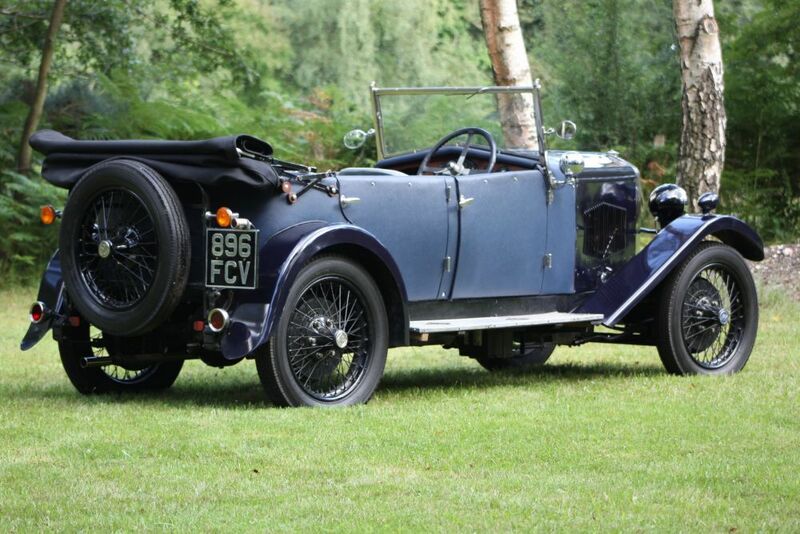 Available with either fabric or aluminium bodywork, the open 4-door 4-seat tourers weighed in at only 17.5cwt, allowing the 4-speed box 45mph in 3rd, and nearly 70mph flat out in top.